New York, NY (July 20, 2015) — Over the River Public Relations has been working on a collaborative and innovative partnership with a like-minded book publicity firm in the UK. Our aim is to provide authors a reliable and effective extension of the successful promotional campaigns OTRPR offers in the US. To that end, we are pleased to announce our partnership with Literally Public Relations Limited, a public relations company that offers a refreshingly different, creative and competitively priced approach to securing you and your books the attention they deserve. —Helen Lewis, Founder and Director of Literally PR Ltd. Literally PR Ltd. has worked with a range of clients including first-time authors, multinational publishing houses, technology start-ups and chefs. They love working with people who are passionate about their ‘product’ and want to take their journey to the next level. They have a range of services to suit all sorts of budgets and objectives. If you’d like to know more about Literally PR and how they can help you expand in the UK market, please feel free to email us at info@otrpr.com. 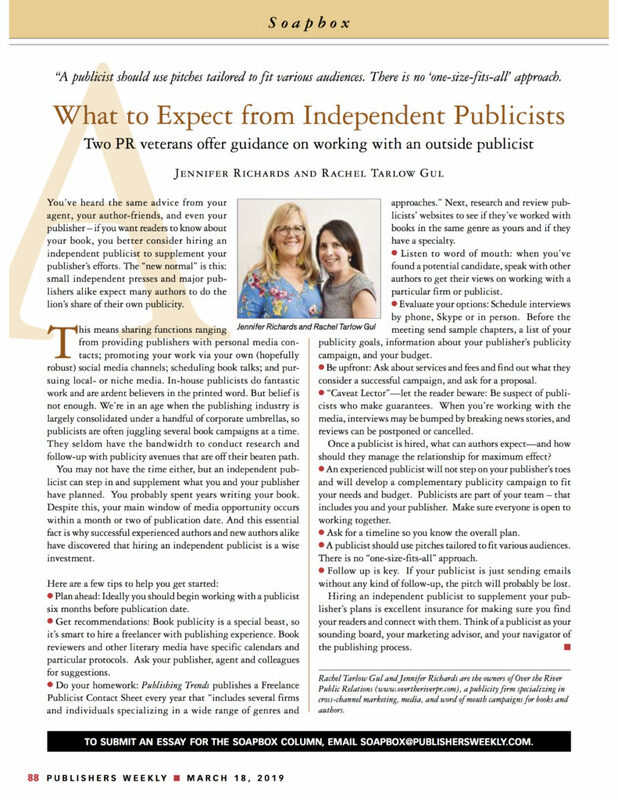 You can also find out more about the publicists behind Literally PR, what services they provide, and who they represent on their website: http://www.literallypr.com/. FRANKLIN AND ELEANOR is receiving great press. This weekend, Carolyn See of The Washington Post gave the book a rave review, as did the Boston Globe.